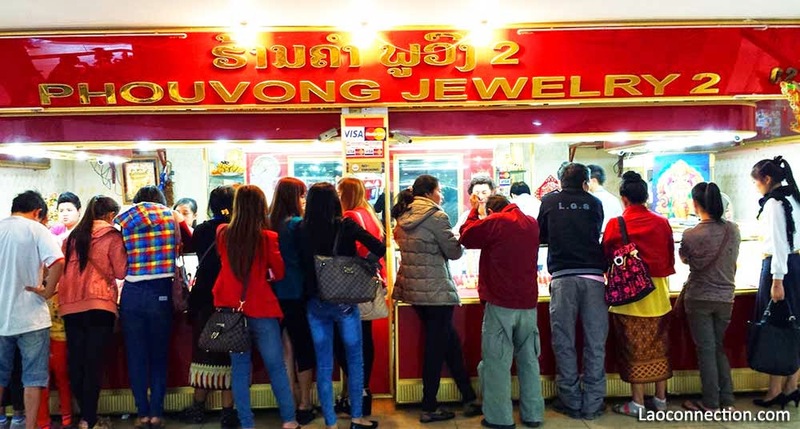 Laoconnection.com: Vientiane's Most Popular Jewellery Store? I took a picture one day of what it looked like at both locations. 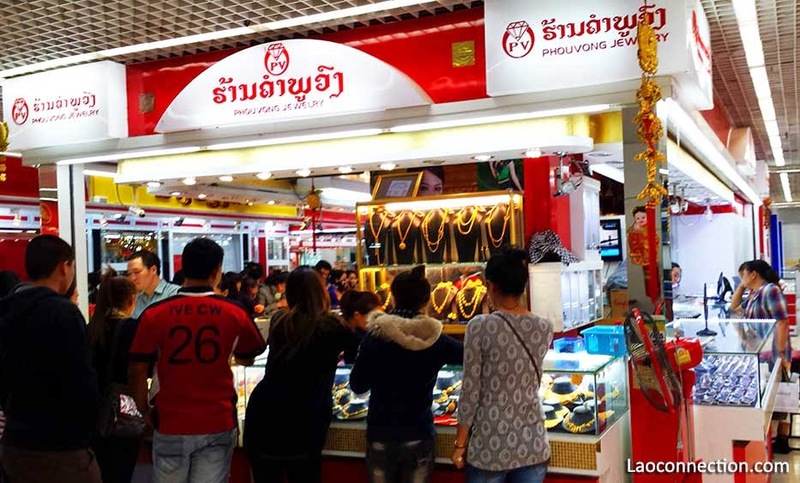 People are crowded around while all the other stores remain empty of customers. I wish I took a wider shot so you could see how unbusy all the other shops were. Truthfully, I was never completely sure what the fuss was all about. Though it seems fair to assume that they must be offering better rates and deals to continually attract such large numbers of customers. Useful hint: These places are also good for exchanging money. Not sure if they still do this or of it's even official but it was considered more on the down low though widely known nonetheless. They also offered slightly better rates than the banks.